Ammo and Bullet | Ammo & Bullet Mfg. Inc.
Storing ammunition is not just about keeping them in a box. Poor storage practices may shorten the lifespan of ammo and even render it useless. For long-lasting ammunition, you need to purchase only from trustworthy manufacturers. Military-grade ammunition is best preserved and stored in an ammo can or case. These safety containers can protect your ammunition bought from Ammo and Bullet against UV light and moisture. Private individuals prefer the safety of a gun safe to hold their personal firearms and ammunition. As Ammo and Bullet primarily serves military personnel and law enforcement, ammunition is typically placed in a gun drawer or an armory specially designed for storage and maintenance. This is the best place to store ammunition made by Ammo and Bullet. An armory offers safety and accessibility in a military installation, precinct, or a gun range. Ammo and Bullet recommends that you should maintain proper labeling and documentation of the date of your purchase. This helps you keep track of your ammunition from Ammo and Bullet. You may arrange your stockpile of ammunition from Ammo and Bullet by putting the older ones in front and new set at the back. With proper labeling, you will also find it easier to draw ammunition in your armory. Humidity can damage ammunition, and that’s why it’s advisable to keep them in a cool and dry location. Never keep them in areas that can potentially introduce moisture to your bullets. Too much moisture may cause rusting and corrosion, which can compromise your shooting. You may add desiccants to keep moisture off your ammunition from Ammo and Bullet. Watch out for any signs of corrosion on your storage area, too. Believe it or not, bullets do have a shelf life. This is significantly lessened due to a lot of reasons. As such, extreme temperatures tend to be one contributing factor. Whether it be in a training exercise, actual combat, or a gun storage, bullets do corrode over time. The integrity of ammo can be compromised if exposed to sudden temperature swings over long periods of time. Ammo and Bullet ammunition is considered one of the finest products in the industry. But proper care will help you make the most out of each and every ammunition you purchased from Ammo and Bullet. For high-quality ammunition, trust and shop only at Ammo and Bullet. 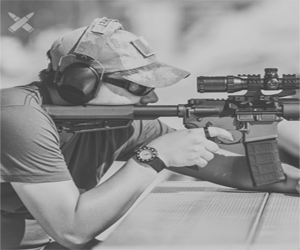 We have a variety of precision-made ammunition for the military, law enforcement, and gun ranges. Get in touch with us to learn about and shop our popular products.